Is Google Play Books your go-to app for reading comic books? If so, your digital page turning is about to get a whole lot better. While the app is getting a number of updates, the most notable is the introduction of vertical scrolling. 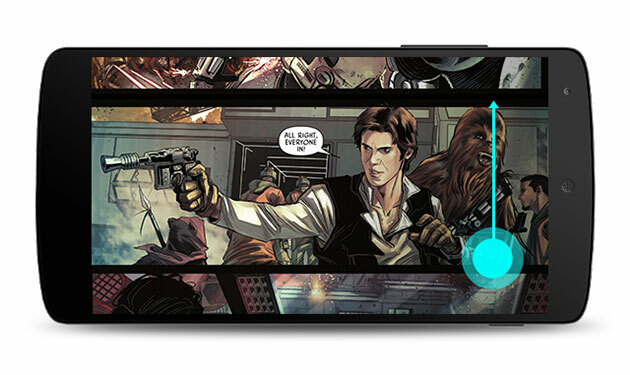 Rather than having to flip to the next page, which can be a bit awkward when it comes to comics on a phone or tablet, simply turn your device to landscape mode and scroll vertically with a swipe. There's a curated series section too, organizing volumes, issues and editions of some of the most popular titles. To help you find new reading material, the app will also offer personalized recommendations based on what you're reading. Just as a reminder, Google Play Books houses comics from major publishers like DC Comics, Marvel, Image, IDW and Dark Horse. The update is rolling out to Android users "over the next few days" and iOS is said to follow soon after for users in the US, Canada, Australia, Great Britain, India, Singapore, Ireland, New Zealand, and South Africa.